Shiny Royal Blue Lizard Strap,16-14mm,length 100-85mm, for ADB of 14mm, with centered notch of 4.2/3.6mm,for MUST VLC LM Quartz ; VLC LM 3-Gold Quartz ; VLC LM yellow gold Quartz. Shiny Brown Caiman Strap, 15-14mm,length 95-95mm,for AB of 14mm,for DIABOLO SM Quartz ; PANTHERE MM Quartz ; TANK FRANCAISE SM Quartz ; TANK LOUIS CARTIER MM Quartz/Mech. ; TANK MUST SM version 1 Quartz/Mech. ; TORTUE SM Mech. ; TANK CHINOIS SM Quartz/Mech. Turquoise Lizard Strap,18-16mm,length 105-75mm,for AB (adjustable buckle) of 16mm,for RONDE LC LM Mechanical y TANK BASCULANTE MM Quartz. White Alligator Strap, matte,20-18mm,length 115-115mm,for DADB (double adjustable detachable buckle) of 18mm, for SANTOS 100 MM Automatic. Black Curved End Leather for Deployant Buckle,20-9mm, length 46-67mm, fits Rolex 4,5,6 Oyster links on the 12 o'clock side and the six o'clock side. ﻿Black Curved End Perforated Leather Strap with White Stitches and Tang Buckle, 20-18mm, length 80-120mm. Blue Curved End Calf Leather Strap with Tang Buckle,20-18mm, length 80-120mm. Blue Curved End Vulcanized Rubber Strap, 20-9mm,length 45-57mm, fits Rolex 4, 5, 6 Oyster links on the 12 o'clock side and the six o'clock side for ADB (deployant) buckle. 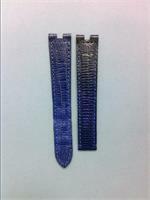 Blue Curved End Vulcanized Rubber Strap,20-9mm, length 46-67mm, fits Rolex 4, 5, 6 Oyster links on the 12 o'clock side and the six o'clock side for ADB (deployant) buckle. Blue Curved End Vulcanized Rubber Strap,20-9mm, length 56-67mm, fits Rolex 4, 5, 6 Oyster links on the 12 o'clock side and the six o'clock side for ADB (deployant) buckle. Green Curved End Vulcanized Rubber Strap,20-9mm, length 46-67mm, fits Rolex 4, 5, 6 Oyster links on the 12 o'clock side and the six o'clock side for ADB (deployant) buckle. Black Curved End Vulcanized Rubber Strap,20-9mm,length 45-57mm,fits Rolex 4, 5, 6 Oyster links on the 12 o'clock side and the six o'clock side for ADB (deployant) buckle. Black Curved End Vulcanized Rubber Strap,20-9mm,length 46-67mm,fits Rolex 4, 5, 6 Oyster links on the 12 o'clock side and the six o'clock side for ADB (deployant) buckle. Black Curved End Vulcanized Rubber Strap,20-9mm,length 55-57mm,fits Rolex 4, 5, 6 Oyster links on the 12 o'clock side and the six o'clock side for ADB (deployant) buckle. Black Curved End Vulcanized Rubber Strap, 20-9mm,56-67mm,fits Rolex 4, 5, 6 Oyster links on the 12 o'clock side and the six o'clock side for ADB (deployant) buckle. Orange Curved End Vulcanized Rubber Strap,20-9mm, length 56-67mm, fits Rolex 4, 5, 6 Oyster links on the 12 o'clock side and the six o'clock side for ADB (deployant) buckle. 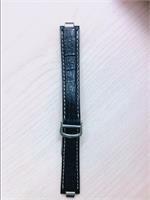 Steel End Link Brown Alligator Embossed Leather Strap with Tang Buckle,20-18mm, length 80-120mm, for Rolex models. 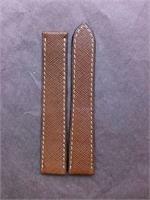 Steel End Link Tan Calf Leather Strap with Tang Buckle,20-18mm,length 80-120mm,for Rolex models. Blue Curved End Rubber with Tang Buckle, 22-18mm,length 80-120mm,for Rolex Deepsea Sea-Dweller. Curved End Black Rubber Strap with Tang Buckle,20-18mm,length 80-120mm. Curved End Blue Rubber Strap with Tang Buckle,20-18mm, length 80-120mm. 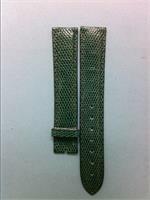 Curved End Green Rubber Strap with Tang Buckle,20-18mm, length 80-120mm. 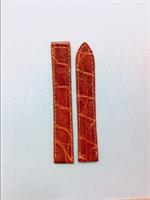 Curved End Orange Rubber Strap with Tang Buckle,20-18mm, length 80-120mm. Curved End Red Rubber Strap with Tang Buckle,20-18mm,length 80-120mm. 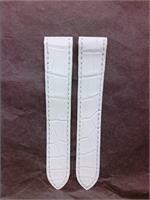 Curved End White Rubber Strap with Tang Buckle,20-18mm, length 80-120mm.